A little mouse with the sweetest arms and legs. 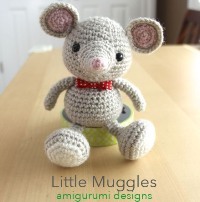 Free crochet pattern from Amy at Little Muggles. 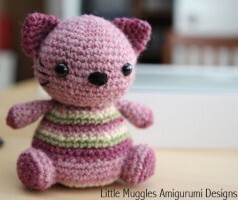 Adorable seated cat amigurumi with a striped belly. 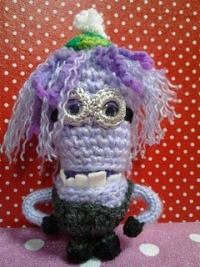 If you loved the Despicable Me minions but wanted the purple version, this one's for you. 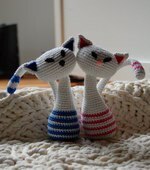 Free crochet pattern can be downloaded from Ravelry. Lovely little stripy owl with adorable big eyes. Another take on the 's Minions. These would be awesome for any kid! 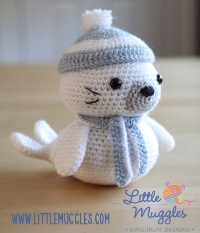 Cute little seal wearing a scarf and beanie. 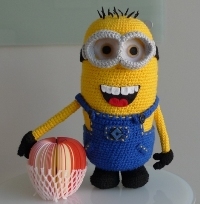 I loved the Despicable Me movies, and the Minions were definitely what made them so special. Now you can create your very own army of Minions to carry out your every whim - as long as you only require them to be cute and cuddly. 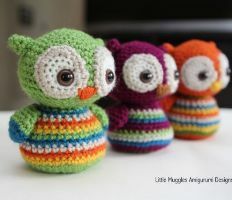 Free crochet pattern from All About Ami. Seriously, you can never have too many bears. Can't keep a houseplant alive? Even your airplants die on you? 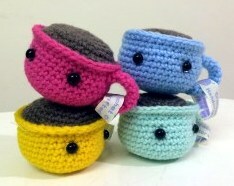 Have you ever seen such cute little coffee cups? I love their little faces! A long necked cat for the cat-lovers out there. 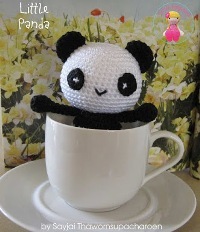 Free crochet pattern from Crochetra. 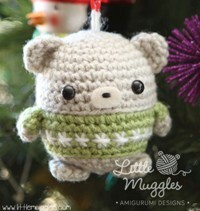 A cute roly-poly little bear to hang in baby's room, or for a First Christmas tree ornament. 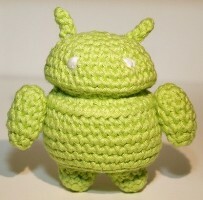 All android users should have one of these little guys. 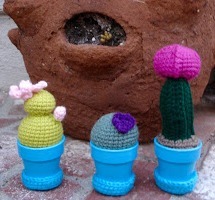 Free crochet pattern available at crazy patterns. Being Valentine's Day 2016 (and the end of the world according to a certain psychic in Ghostbuster's II) we could all do with a little extra sweetness in our lives. 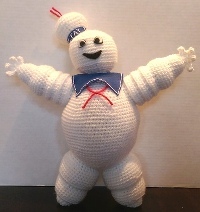 Free crochet pattern by Sarah Flaxman.